One of the worries that a hotel owner has to face regularly is deciding how to keep the room carpets clean. When it comes to removing dust and debris from the carpet fabric, a regular vacuum cleaner should get the job done, but what about those nasty stains that come from spillage of drinks or just simple carelessness? 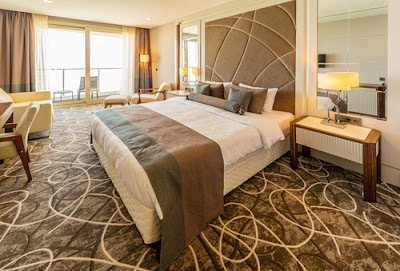 Well, the job of keeping the carpets clean and maintaining a hospitable environment is an ongoing process rather than a one-time affair; so, you must be prepared to keep the hotel's aesthetics for the long run. Here are eight vital tips that you can follow to ensure that all the carpets in your hotel are squeaky clean and ready to make an impression on the guests. 1. Choosing the right carpet: The carpets you'll be needing are greatly dependant on the amount of space available in each of the rooms. For corridors, stairways, and other public spaces, it is wise to invest in durable carpets because these places will see plenty of footfalls and wheeled traffic such as trolleys. For guest rooms, however, the prime consideration should be on aesthetics rather than durability because you'd want the rooms to have a unique appeal. As far as cleaning is concerned, the durable carpets are obviously meant to handle dirt and other waste material better than room rugs. 2. Having your equipment: You may choose to get the carpets and laundries clean through an external agency but in the long run, having your own cleaning equipment will allow you to get the job done efficiently while saving money. Vacuums, steam cleaners, and other machines can clean dirt right out of the carpets so that you don't have to replace them often. There are also ways in which you can remove the damp, musky smell from the carpets so that the rooms feel fresh and are ready to welcome the guests with an enticing aroma. 3. Clean frequently: A lot of times guests do not want housekeeping services because it may cause a disturbance. In such a case, make it a point to clean the carpets as soon as the guests check out so as to present nice and clean carpets to the guests that arrive next. Even though there are many methods of cleaning, both straightforward and complicated, a quick vacuum is enough to give a clean appearance and get rid of accumulated dirt, dropped foodstuff, and other dry waste. Since asking the guests to be careful in their room is not an option, you must take the initiative to ensure frequent cleaning is carried out. 4. Following the five-step process: In case you didn't know already, most commercials hotels and guesthouses follow a five-step cleaning program to maintain their carpets and linens. In this comprehensive program, the five steps are soil containment, vacuuming, spot removal, interim cleaning, and finally deep cleaning. Each of these measures has their own merit and plays a major role in giving you the cleaning results that every hotel owner desires. This process should be performed based on traffic levels and scheduled at least once every week. 5. 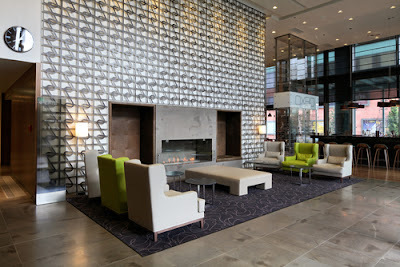 Focusing on the right areas: The front lobby of a hotel is where most traffic is at, and plays a vital role in making a stellar first impression on the guests. The carpets in this area require the most attention and should be cleaned at least twice each day to ensure that guests to do have to step on dirt to make their way into the rooms. You should get this area cleaned in the early morning hours when there's the least amount of traffic. Daily diligence is a necessary ingredient that plays a pivotal role in differentiating between a prim and proper hotel room and a shady joint. 6. Carpet shampooing: There are special quality shampoos available that can effectively remove every kind of dirt and is ideal for heavy duty cleaning. Even though this method is effective in removing stains, it does leave behind quite a bit of foam that becomes difficult to remove and dry the carpet consequently. This process can also make the carpet sticky because no rinsing is usually carried out after shampooing. Use this process at your own discretion and obtain precaution while doing so. 7. Hot water extraction: Also popularly known as carpet steam cleaning, this method of carpet cleaning removes soil and other dirt from fibers. It combines the use of hot water and great force of vacuuming to remove excess of water and other contaminants. Hot water method is one of the common ways in which carpet cleaning companies service their clients. The process consists of applying a type of cleaning product on the affected carpet areas, using a brush to loosen the dirt and contaminants, followed by a thorough rinsing. 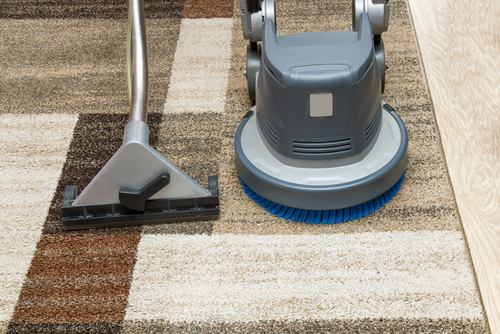 After rinsing is done, vacuuming is done to remove leftover moisture and dry the carpet. 8. Encapsulation carpet cleaning: In this process, synthetic detergents are used that dry to form a power like substance. It is hugely popular today and is even preferred over carpet shampooing because it doesn't involve the use of hot water which makes drying the carpet tough sometimes. This process is also popular because it is more eco-friendly and does not leave behind any toxic residue or other substances that may be harmful to humans and the environment. You can safely use encapsulation to carry out scheduled cleanings and not have to worry about toxicity levels of the carpets. You may also alternatively hire a company to do the cleaning for you, but be prepared to shell out a larger amount than usual because Singapore is an expensive place. The best for you to keep the carpets clean without going overboard on the budget would be to stick to these tried and tested eight methods that have proved to be effective in many different hotels and other hospitality organizations.The importance of pleasing your guests is of utmost importance because repeat customers are those who will ensure that you stay in the business for a long time.